Having lived in Bangkok 3 years and travelled back and forth for 10 I thought its time to add my own take on top Bangkok attractions. While it’s been long since I did touristy stuff I do still host the occasional visitor and to keep them entertained I use often follow the same set itinerary for local attractions. For which area to stay? 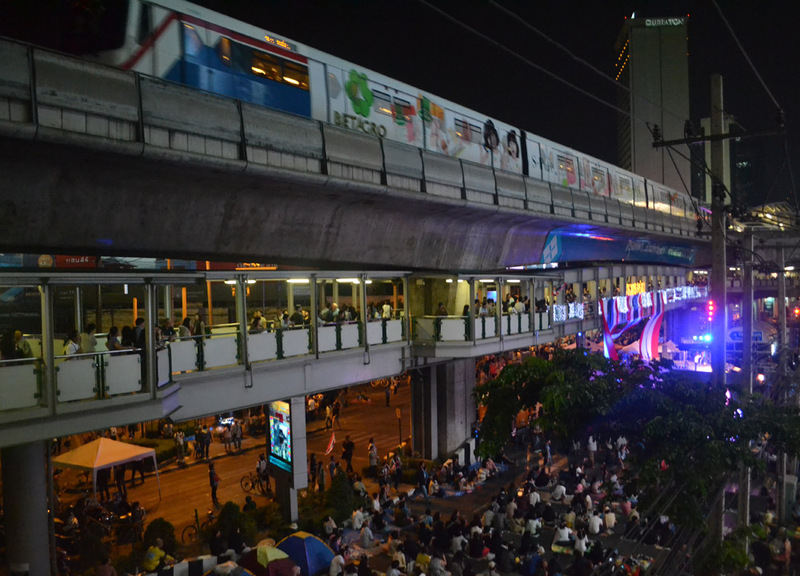 I will always recommend the Sukhumvit area for hotel selection, eating, entertainment and of course the convenience of rail networks. To name other areas there is the Bangkok Riverside for luxury travellers, Silom which is not so different to Sukhumvit only not as good and Khaosarn Road a hive for backpackers. My top 10 Bangkok Attractions generally starts in the Sukhumvit area (where I live) and works outwards to surrounding areas. It includes a mix of both tourist and local attractions and where possible I offer alternatives to the more over-hyped Bangkok attractions. Be sure to snack on Bangkok’s world renowned street food along the way and mix up your travel with tuk-tuks, taxis (metered), skytrain (BTS) and underground (MRT). While this list can be covered in three days it maybe best to spread over a week. 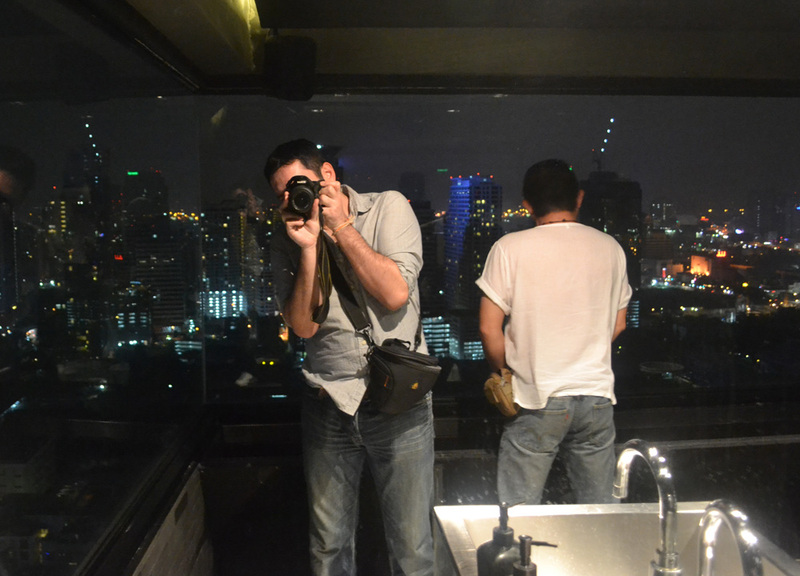 These are my Top 10 Bangkok Attractions. 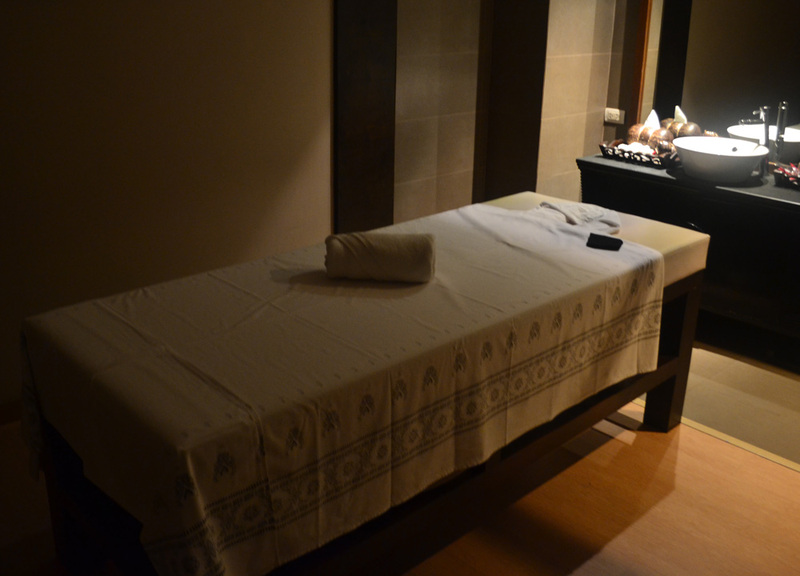 Following long-haul flights there are little better ways to recover than with traditional Thai massage. Fortunately massage can be found on near every street in Bangkok’s tourist areas but at times it can be tricky to find ones without ‘added extras’. Rule of Thumb, avoid neon lights, over enthusiastic masseuses and names like ‘teen massage’. 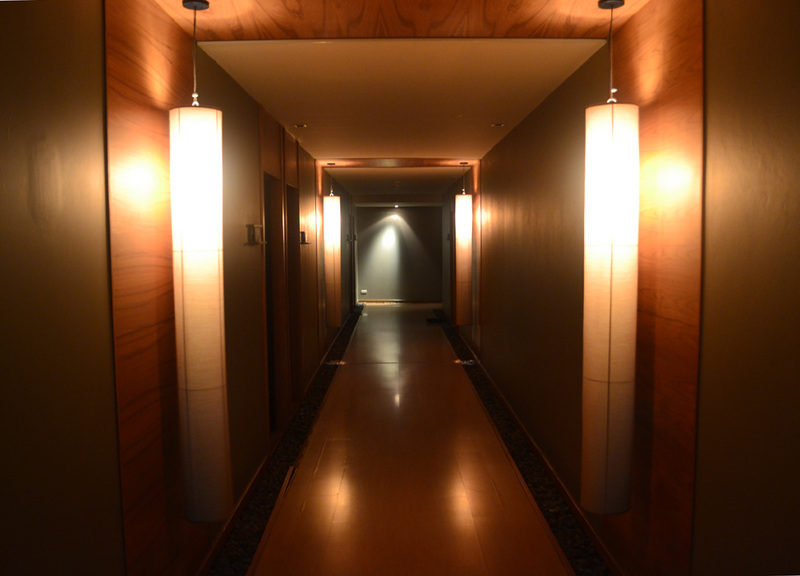 So my go-to spa, as with many Bangkokians, is Health Land Spa with branches dotted throughout the city. While more high-end and luxury than most, the prices do not reflect this and Health Land Spa is hard to beat on value for money. Prices start from 500 Baht for their 2 hour traditional Thai massage and goes up to all sorts of pricey pampering packages. While first on my to-do list massage also comes handy throughout and on long days in the city they make the perfect escape from sweaty midday heats and help refresh before the next of Bangkok attractions. While my preferred Health Land location is at Asoke (Sukhumvit 21) others may be more convenient to your location. Check here for full Health Land Spa locations. 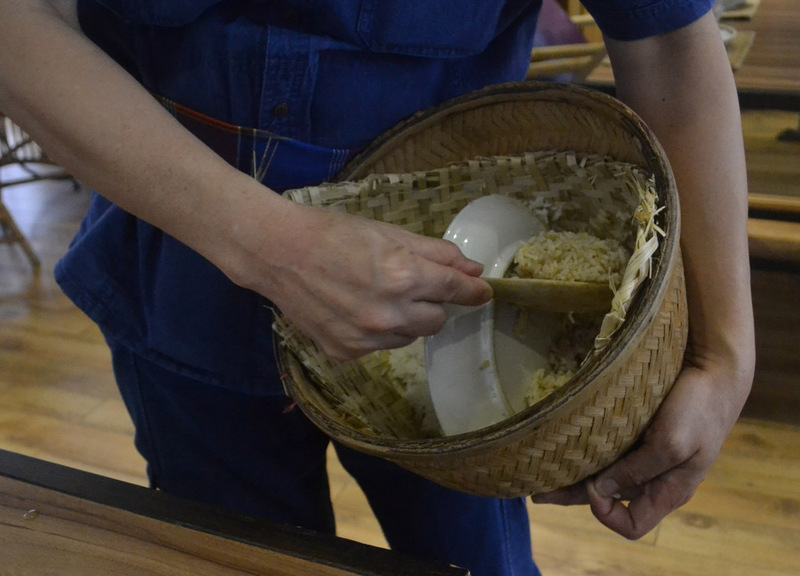 The best start for Thai food exploration is often at luxury Thai restaurants and while there are countless to choose from throughout Bangkok I will stick close to my previous destination (Health Land Spa) where a short walk finds The Local by Oamthong. Luxury Restaurant experiences offer not only the perfect introduction to Thai ingredients and cuisine but to heritage through design, tradition through service and hospitality through smiles. 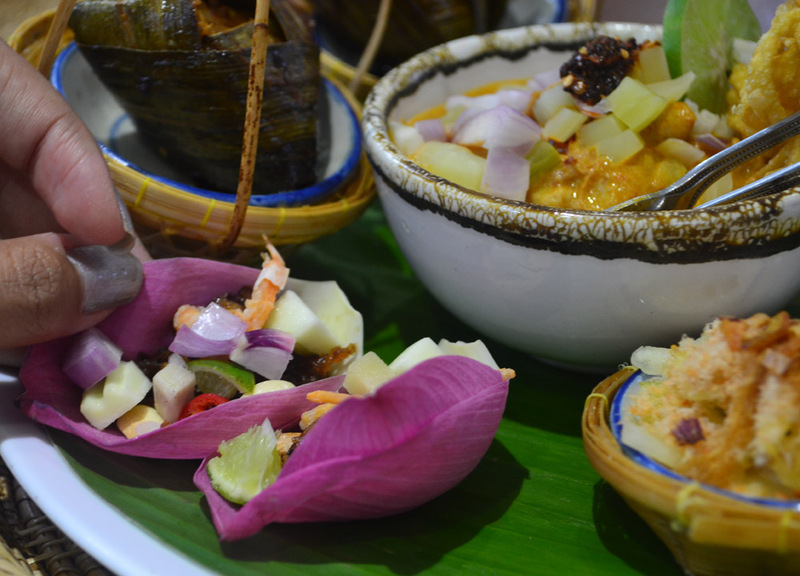 In ordering I like to begin with appetizer or taster sets which showcase the sweet, sour, salty and hot signatures of traditional Thai cuisine. Throw in some curries and local infused cocktails and eating will rarely come better. Nearby is also the original Baan Khanita Restaurant (on Sukhumvit 23) which now has a selection of restaurants scattered through Bangkok. 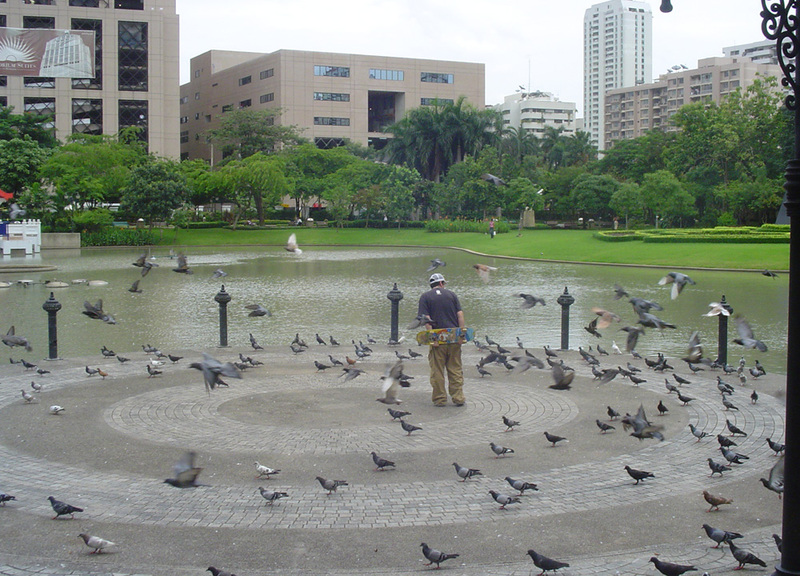 On the main Sukhumvit Road (next to Phrom Phong Skytrain Station) is Benjasiri Park aka Queen’s Park a place perfect for people watching and observing local life. The park itself is small and well maintained with native trees, art sculptures and a large central lake where you can feed fish and turtles. This is about the height of the excitement during daytimes when locals hide from the blistering Bangkok heats or are busy at work. I suggest evening hours for a visit when the park comes to life with Tai Chi out front, joggers circling the perimeter, aerobics, sepak takraw (Thai foot volley) and all sorts of sports and goings on. Feel free to join in at no cost or just sit back and watch from a park bench on the sidelines. Benjasiri and similar parks will always be in my favourite Bangkok attractions. Not to be missed. 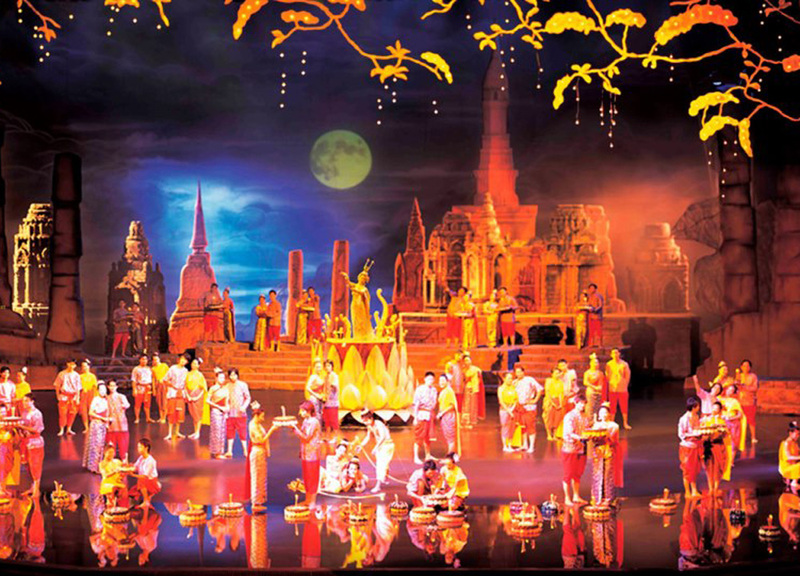 This cultural show is not only perfect for newcomers to Thailand but for those familiar as well as it helps piece together the full picture of Thai’s past. 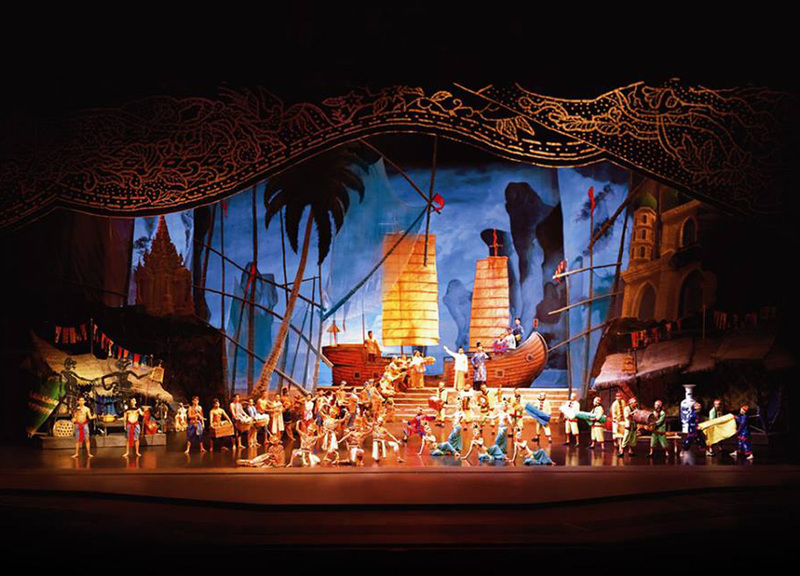 Siam Niramit is one of the world’s largest stage productions with 100 plus performers in lavish costume, stunning set designs and enhanced special effects. The show not only contrasts between regions and identities but brings insights into culture, religion, mythology and folklore. Interpretations of heaven and hell, the fable of Tosakan and a few wowing surprises in between. Note no cameras are allowed so I pilfered the photos below from the Siam Niramit Facebook page. 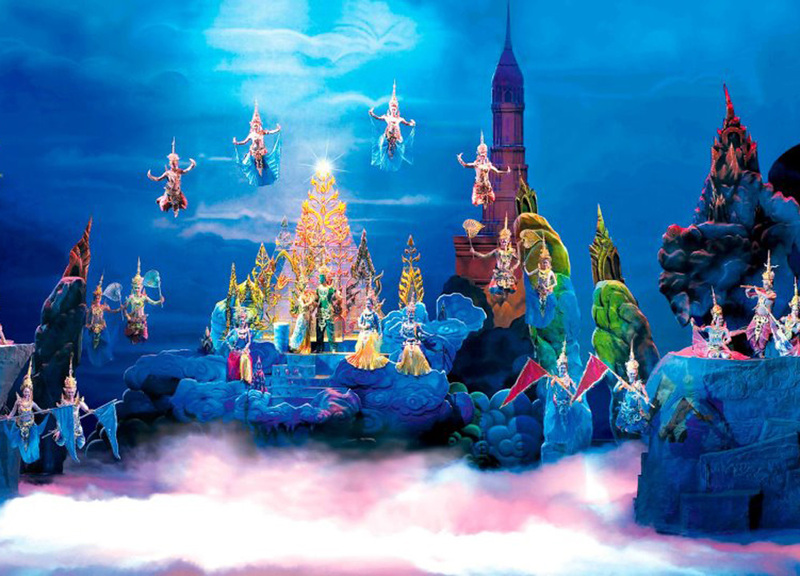 Shows start 8pm and the area surrounding opens from 5.30pm with a traditional Thai themed village worth poking round. 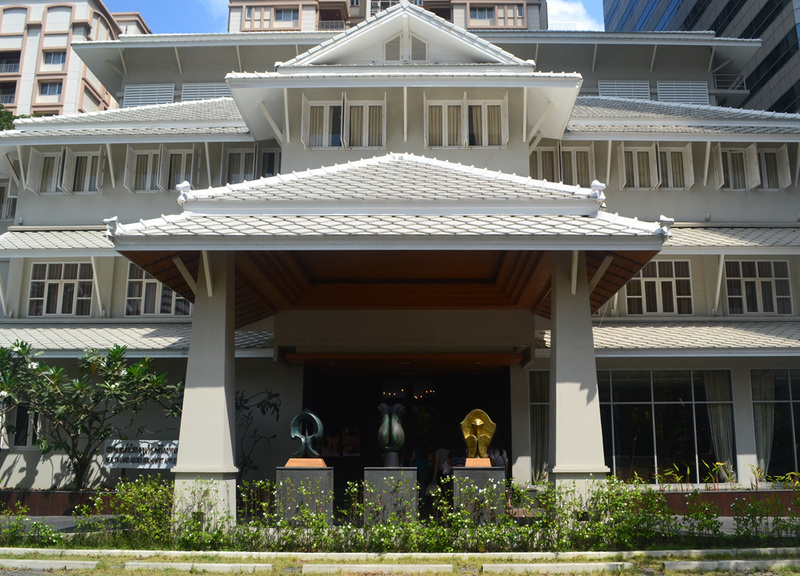 Siam Niramit is located in the Ratchada area of Bangkok only a short taxi from Sukhumvit or if travelling by subway (MRT) there are free shuttles from Thailand Cultural Centre Station every 15 minutes (exit 1). 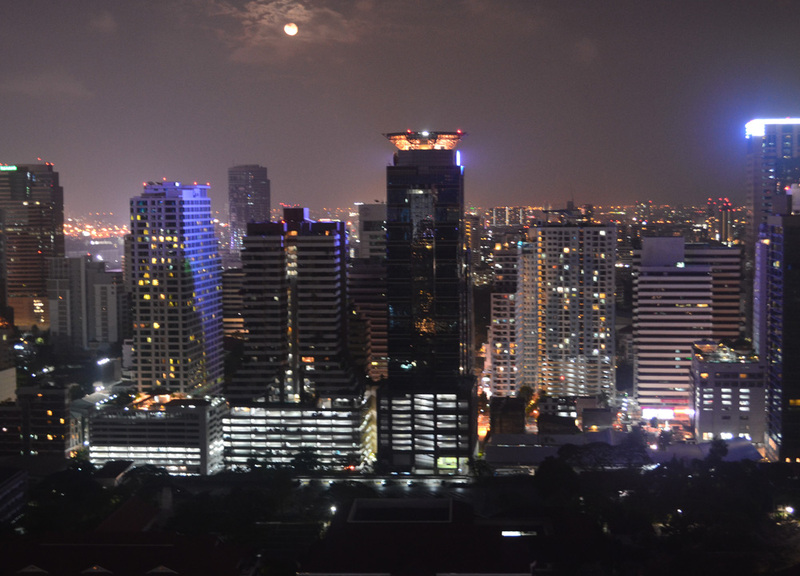 Following introductions to massage, cuisine, local life and culture; next comes the nightlife and Bangkok’s love for rooftop bars. While most tourists rush to the crowded riverside rooftops (Sirocco Sky Bar the big favourite) I prefer a more urban approach on lower tiers of cityscape with views where you can actually see the skyline. 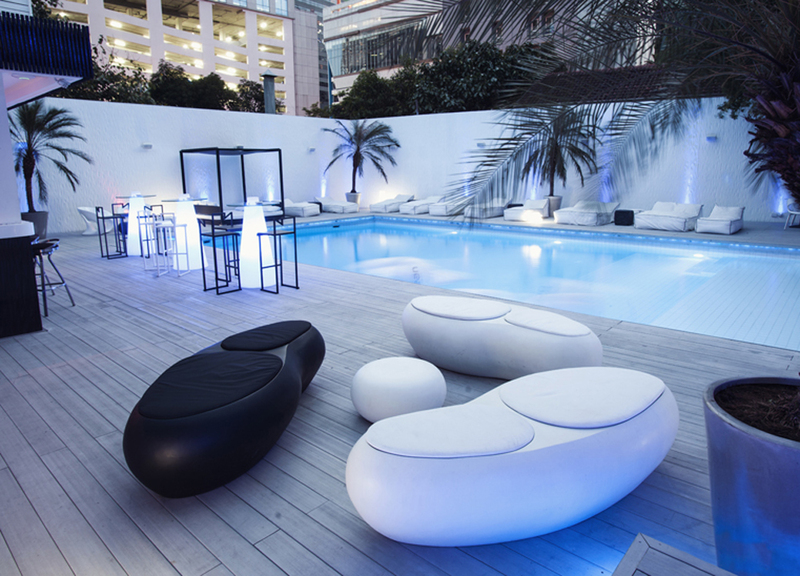 My preferred rooftop is at Above 11 (Fraser Suites Hotel) in the lively nightlife area of Sukhumvit Soi 11. Not only is Above 11 less touristy but prices are half that of its Riverside counterparts. 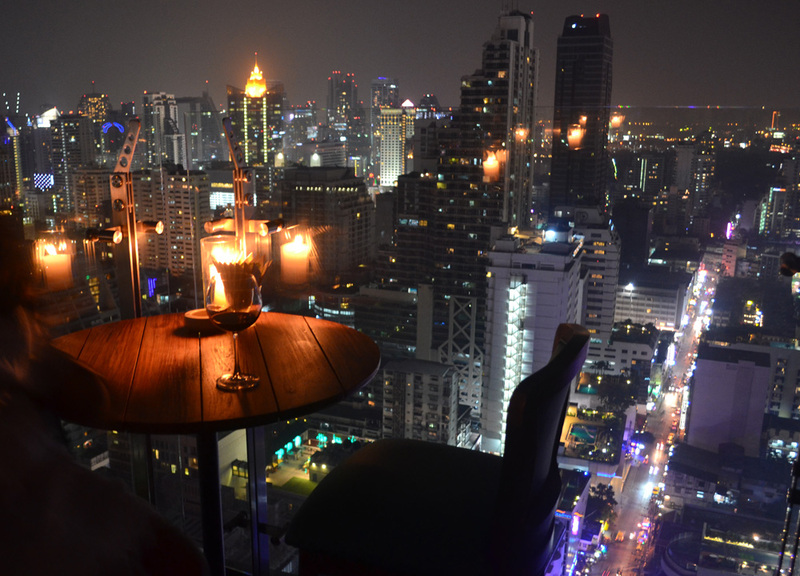 My advice is to go straight to the rooftop, above the 33rd floor, to Gramercy Park where you’ll find a wine list starting below 1000 Baht and nightly cocktail promotions. Also check out the toilets where I am shown photographing below. Topping most Bangkok Attractions are the temples and the two must-see (and most visited) temples are The Grand Palace home to the Emerald Buddha and Wat Pho for the Reclining Buddha. While many tourists join the organised tours for these temples I just don’t understand why. 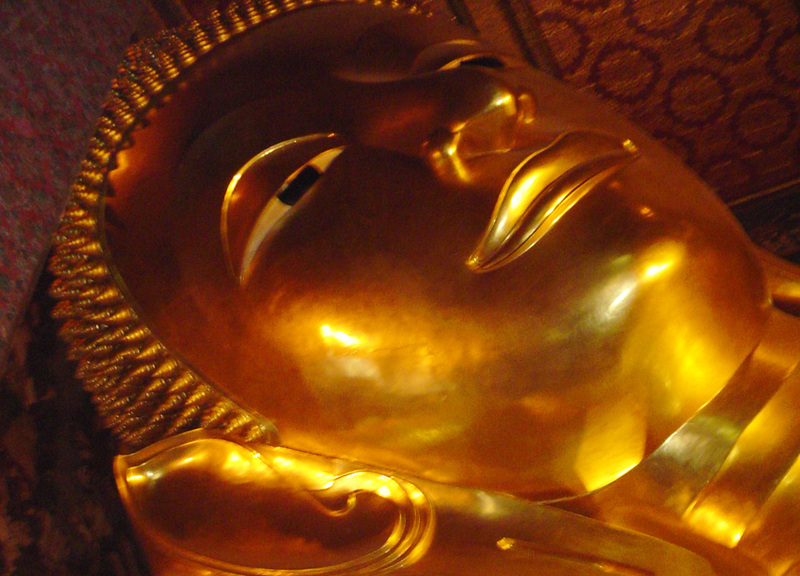 The easier option is to travel independently, take a taxi direct to the Grand Palace and once done cross the road to the Reclining Buddha which sits directly opposite. Travelling independently means no packing onto buses, being hurried through attractions or being held up by stragglers. It is also cheaper. Potter down backstreets, pick up street snacks, call in at local temples, sit at busy junctions and just people watch. 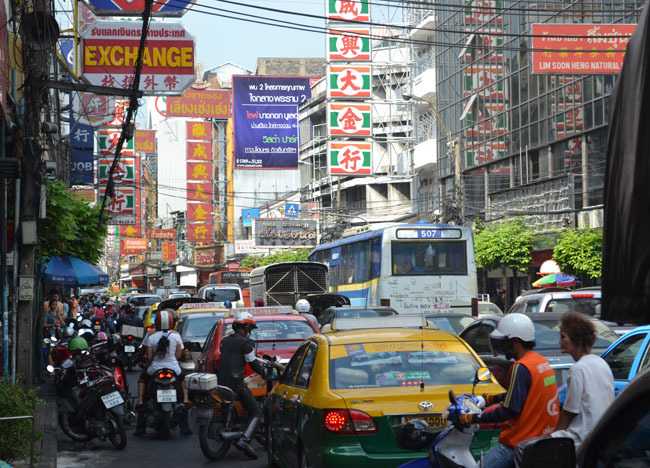 A favourite area for getting lost is Chinatown, one of the oldest areas of Bangkok and a place where streets bustle at all hours of the day. The perfect start for exploration is on the main Yaowarat Road where side streets and back alleys lead in all directions to lots of places. Take your pick. The flower market? The Riverside? Little India? Once done getting lost you’ll find no trouble flagging down a taxi and onto the next Bangkok attractions. Travel to Chinatown is easiest by taxi or alternatively by Subway MRT (Hua Lamphong Station) where a short(ish) walk finds Yaowarat Road. 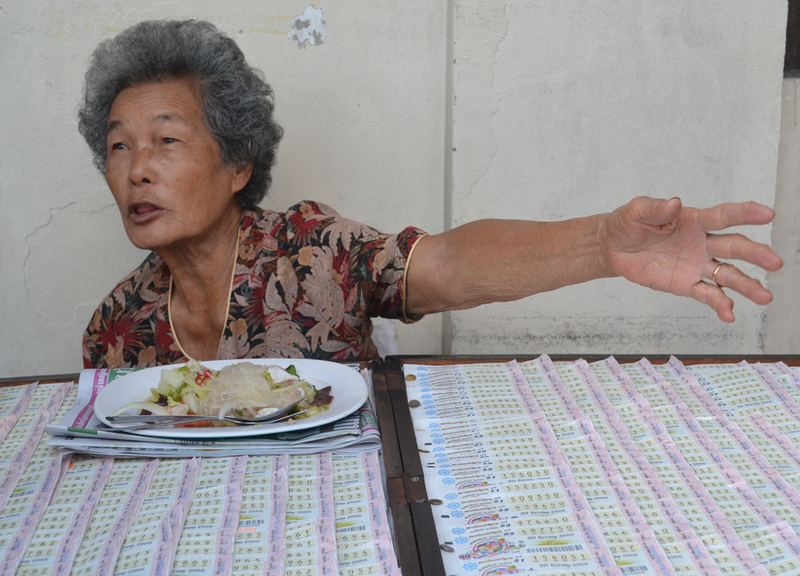 Don’t forget to eat when in Chinatown (Our Guide to eating in Bangkok Chinatown). The scenes on Bangkok Riverside are unforgettable and for the best of them you should join a Chao Phraya Dinner Cruise. While I have been cynical in the past I still think the experience is a must for many and my only advise would be to pay that bit extra for the better cruises or prepare to be bombarded with tourist cliches and tackiness. Among iconic riverside sights are the Grand Palace, the Rama 8 Bridge and le pièce de résistance of the Temple of Dawn (Wat Arun). 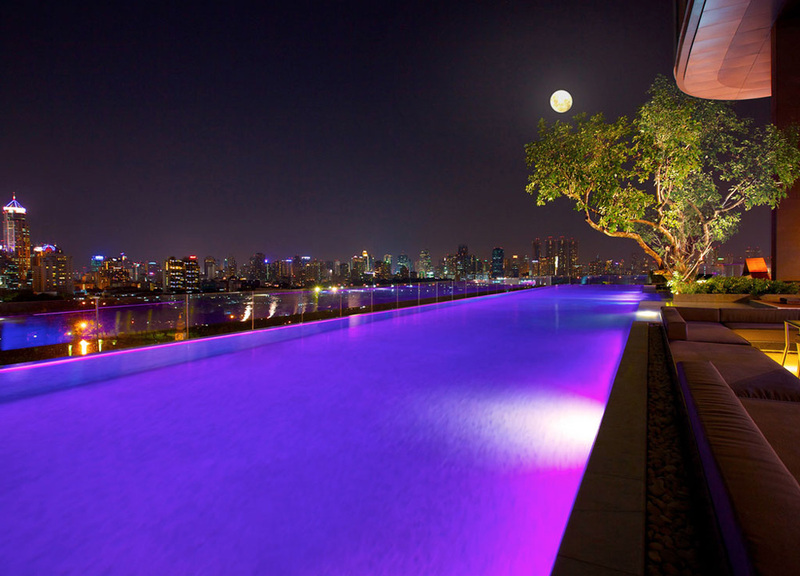 These Bangkok attractions are no doubt better viewed at night. Chao Phraya Dinner Cruises normally last 2 hours starting 9pm and leaving the River City Shopping Complex. Book in advance. You know an attraction has lost its lustre when tour operators promote it as ‘still worth doing‘. Other than photo-ops and old ladies with triangle hats the popular floating markets of Bangkok are no longer worth the half day of travel. I would therefore recommend something closer to centre and a better experience might be the Taling Chan floating market; a small, local and authentic experience. While I visit for the food (there’s lots of it) you will find other excitement on the river as long-tail boats motor through nearby khlongs and the park area next door sets up a main stage for locals to eat, drink and enjoy live performances. For taxiing direct to Taling Chan it should take a rough thirty minutes and 150 Baht taxi fare. As much as I hate shopping it does top many’s to-do list on a visit to Bangkok and for many it is for cheap knock-off gear, tourist trinkets and wholesale clothing. I will therefore whittle down to four major malls in the central Siam area, all four within walking distance (or quick taxi) of one another and all with their own purpose and niche. The four major malls are MBK for tourist junk, Siam Paragon for luxury shopping, Central World the middle class mall and Pratunam a maze of wholesale textiles. 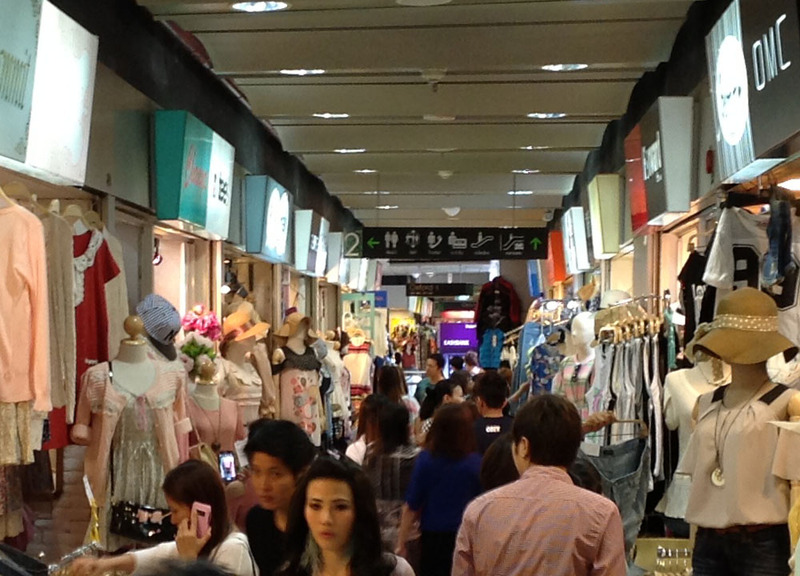 For more on malls check our post on Surviving Bangkok Malls. 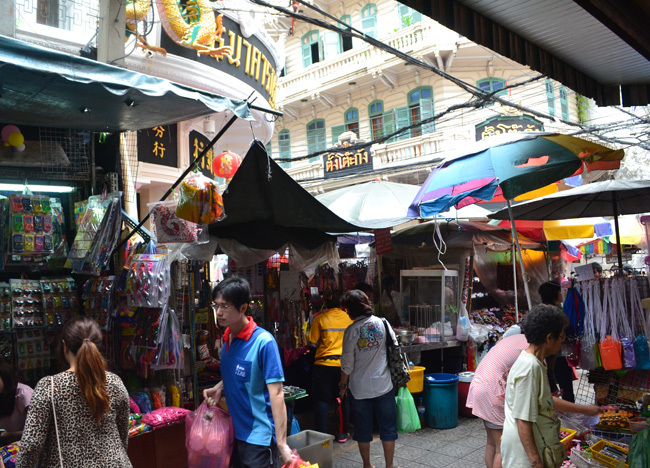 For Bangkok on the weekend JJ Market (Chatuchat) is also worth a visit. Adding an 11th attraction in rebellion to Top 1o lists. A personal obsession. In the early evening hours Bangkok’s roadsides come to life with barbecues, boozing and congregations of local banter. Pavements transform to seated eating areas where vendors work grills and nearby workers join to unwind with local liquors and Isaan food. Here you’ll find some top notch eating with grilled fish (Pla Pao), marinated barbecued chicken (Kai Yang), spicy dips and various hot and spicy salads such as Laab Moo (minced pork salad) and Som Tam (papaya salad). I find few Bangkok attractions to be more authentic. A famous area for barbecues is found in front of Central World Mall towards Pratunam (Chit Lom Skytrain Station). With thousands to chose from it will no doubt be a strenuous task to pick the best hotels. 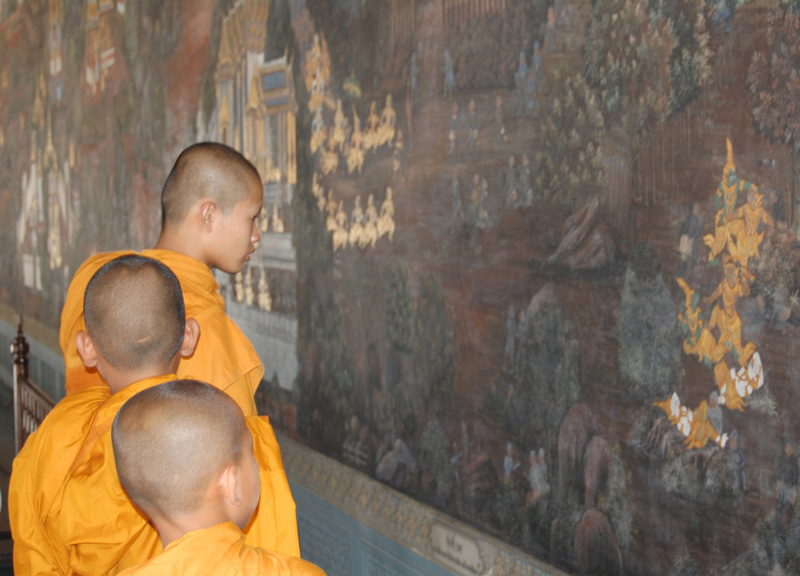 I will therefore whittle down my own favourites taken from nearly ten years experience of travel to Bangkok. 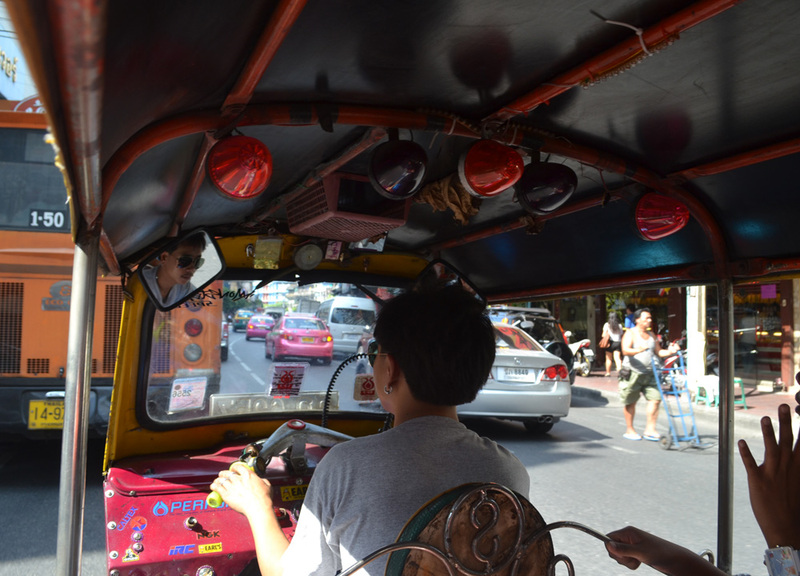 Bangkok is well known for its affordable luxuries and it is often best to make the most of them while here. 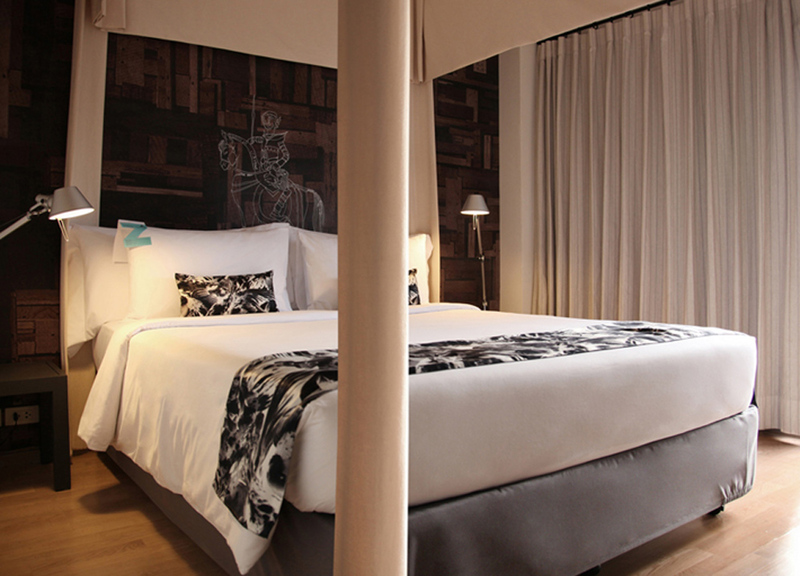 Here are our lists of best Bangkok hotels. Solo travel is by far the more exciting – plus you learn a whole lot more 🙂 I was alone on my first visit to Thailand and I’d probably not be where I am now if I didn’t go solo. Look forward to ticking off some of these places on my next visit, especially the Health Land Spa, Sukhumvit 21. We ate at The Local back in December and loved it, great cocktails and nice to try some more old traditional dishes. Yup, the cocktail list was my favourite part. Planning to go back for them all. 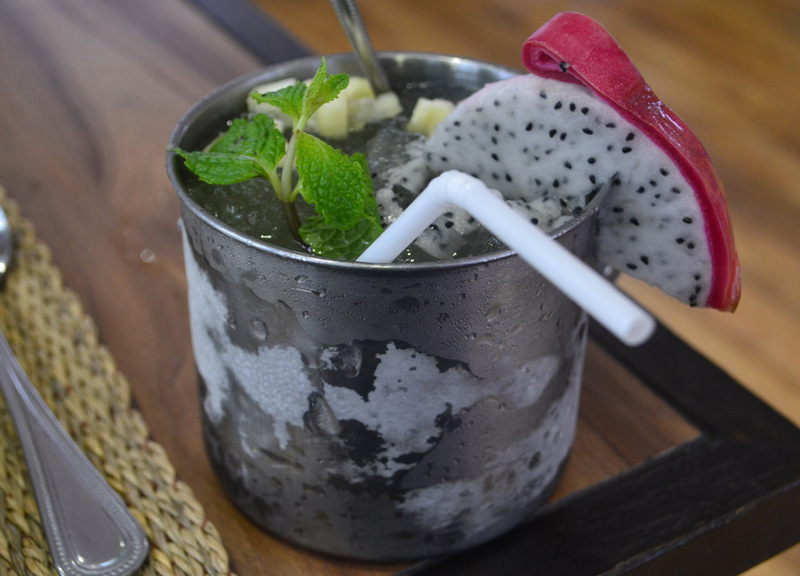 Two down so far; the dragon Mojito and the Floating Market. Hi, My husband and I will visit Bangkok on December 16 – 21, and visit places you recommend. Do you still in Bangkok? Hope you have a great time Dian 🙂 We’re actually moving to the sticks (Isaan) this month working on new projects. Lots of rural posts coming very soon.